UK Docks has a proud tradition of service in the maritime sector. Over the years, the company has acquired an excellent reputation in the industry by combining the expertise and experience of its staff with the use of high-quality materials and equipment from around the world. Originating in the North East of England - which remains its’ headquarters - UK Docks has now extended its dock and marine service operations down to the English Channel and across to the Irish Sea. Our employees now work across the globe, delivering rapid response to clients. We are also a long-standing support contractor to the Ministry of Defence, providing through-life support to vessels and equipment. Additionally, we provide in-service support and capability, including upgrades of existing vessels, ship life extension programs, technical and logistical support and comprehensive data management services. 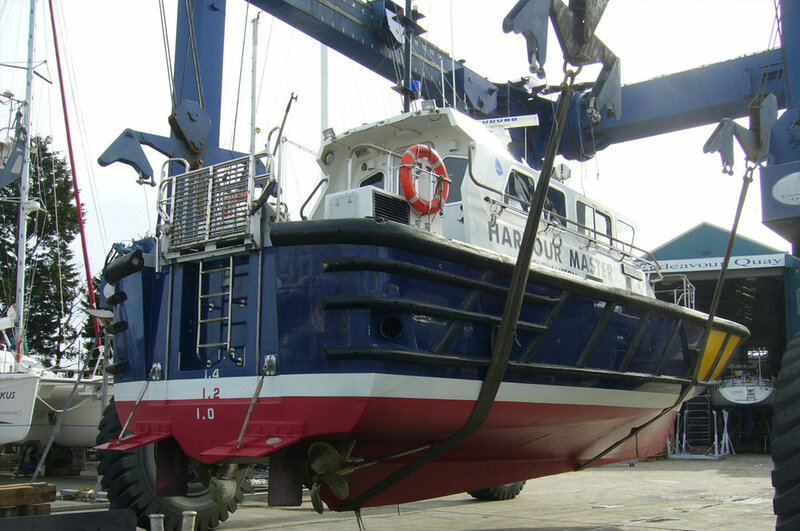 Within the commercial division, UK Docks facilities include dry docks, slipways and boat lift facilities providing refit and maintenance, upgrade of existing vessels and through-life support. To be the leading player in our market for maritime services and to be preferred by customers as their first choice. The key to achieving that goal would be clearly demonstrating the added value of UK Docks’ integrated package of service offerings. Leading player: to be first in all selected businesses. Market: to operate not just on a national but a worldwide scale. Maritime services: to be active in professional services in, on and around water. Integrated package: to offer customers a family of services tailored to their needs. Clearly demonstrating: focusing on and publicising our highly regarded specialist services and continually showing excellence in supplying them. UK Docks is a maritime service provider which values the expertise, experience, flexibility, inventiveness and drive of our work force. We also value the modern and specialised equipment we use and the facilities we have to offer. And it's those two aspects of our business which are key to offering our customers the high-quality solutions they seek. For our customers our mission is to deliver a high-quality service tailored to their specific needs. For our employees our mission is to offer challenging work, personal development opportunities and a clear career perspective. On a broader spectrum, our mission is to act with due care for the environment and the community. UK Docks provides a comprehensive range of dry dock and marine services operating from various sites strategically located across the UK. 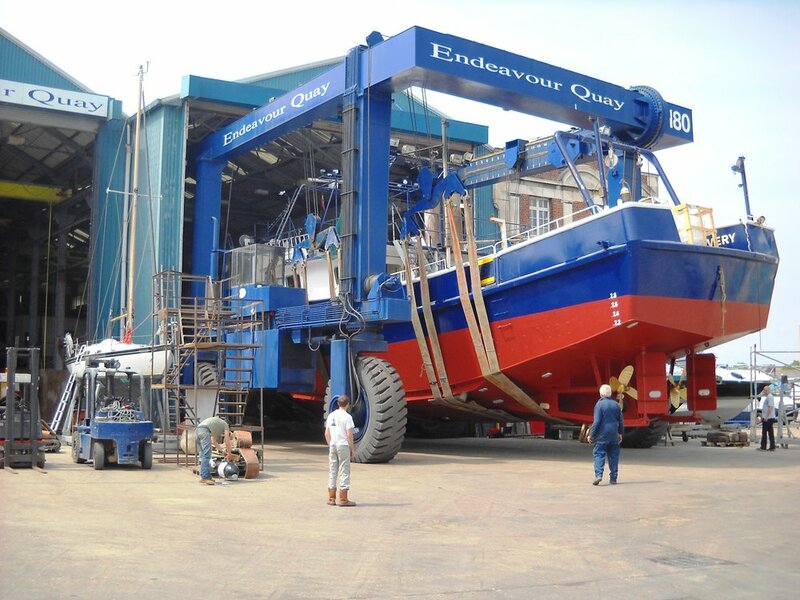 All of our facilities provide vessel refits, conversion, maintenance and repair services. Our long-serving team of managers is experienced and highly knowledgeable in dealing with all contract requirements. Accurate Measurement Services, part of the UK Docks Marine Services Group, offer a professional service to the marine industry with years of experience carrying out UTM surveys. We work with superintendents, surveyors and ship owners carrying out special surveys, intermediate surveys and CAP surveys to class rules and regulations. Our services extend worldwide assisting during steel repairs, Ultrasonic surveying and Ultrasonic measurement. On completion of all surveys, we provide a condition report identifying any renewals or steel wastage for the owner or representatives to assess. By carrying out these inspections, owners and their representatives can reduce costs and budget their works programme. All inspectors are qualified in non-destructive testing up to ASNT level II and work extensively on vessels in dry docks, harbours and during voyages. UK Docks Marine Services operate three dry docks docking vessels up to a maximum length of 167.6m x 20.5m breadth and 150 metres of dedicated repair berths. Our ship yard is located directly on the North Sea on the River Tees is fully serviced with engineering and steel fabrication workshops and provide experienced marine engineering personnel and project management for dry dock requirements, vessel in-water repairs and refits and vessel mobilisations and de-mobilisations. All berths are fully serviced with shore power, fresh water, ballast water, sewage and waste oil collection. UK Docks directly employ their own dedicated workforce which includes project managers, fitters, steel fabricators, ships plumbers, riggers, tank cleaners, painters and shot blasters. All tradesmen are time-served and all welders are coded. UK Docks are a long-standing support contractor to the Royal Navy. We provide comprehensive through-life support for ships and equipment and in-service support and capability, including upgrades of existing vessels and ship life extension programmes. We also provide technical and logistical support and comprehensive data management services and handle the needs of the entire P2000 Archer Class group of vessels, as well as more than 100 small boats up and down the west coast. The company now provides maintenance, upkeep, repair, defect rectification, technical support and provision of spares for the west coast vessels operating between Faslane Naval Base and Devonport Royal Dockyard. UK Docks’ modern boat yard and workshop facilities, coupled with an excellent diverse range of services and skilled workforce, ensures an efficient and effective service to all our customers. Refit and repairs are carried out on a wide variety of commercial craft for prestigious clients such as Ministry of Defence, Babcock International, BAE Systems and numerous Port Authorities working on vessels such as police boats, pilot vessels, survey vessels, commercial ferries, wind farm support and personnel transportation vessels. UK Docks also provide full refit, repair, maintenance and new construction work for all types of leisure vessels offering anything from a fresh coat of anti-foul paint to a complete rebuild. UK Docks provides a comprehensive range of dry dock and marine services operating from various sites strategically located across the UK. All of our facilities provide vessel refits, conversion, maintenance and repair services. Our long-serving team of managers is experienced and highly knowledgeable in dealing with all contract requirements. UK Docks operate a number of facilities across the UK.